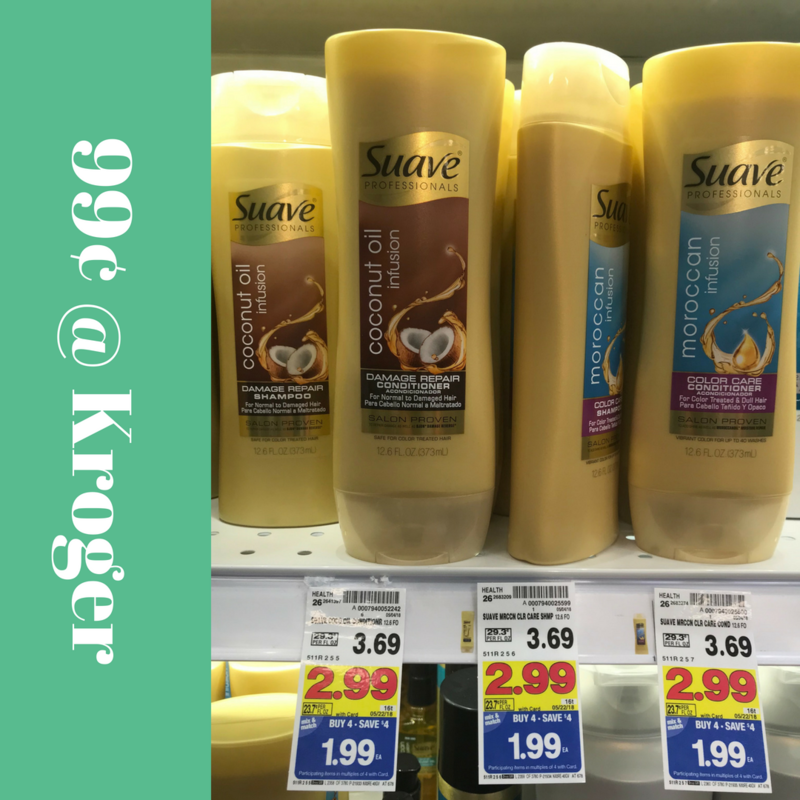 There are new Suave coupons available that make for a fun deal at Kroger! You can get Suave Professionals shampoo and conditioner for only 99¢ when you match in your coupon. Time to get stocked on hair care this week!